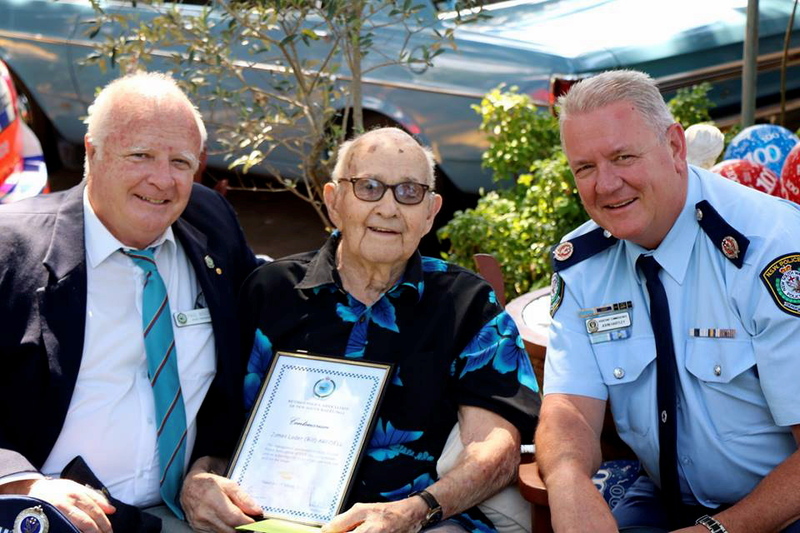 Died on: Monday 1 January 2017 at Sydney Adventist Hospital, Wahroonga. 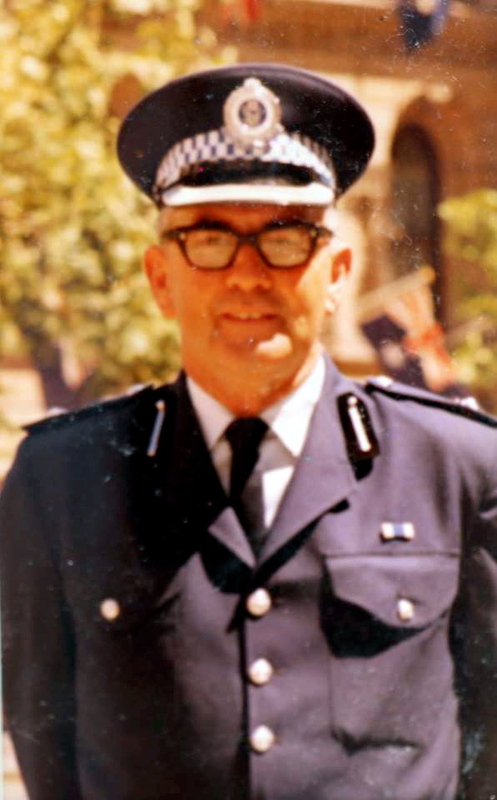 Today we learnt of the passing of ‘Bill’ on 1 January at the Sydney Adventist Hospital, Wahroonga. 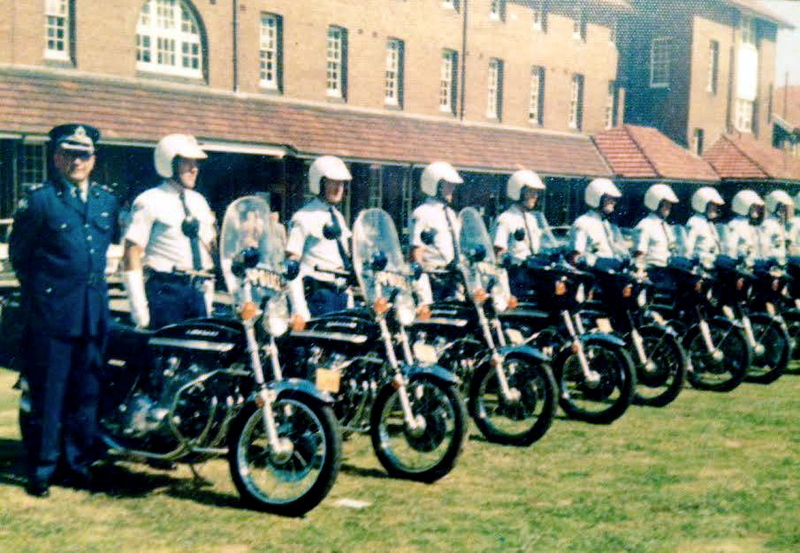 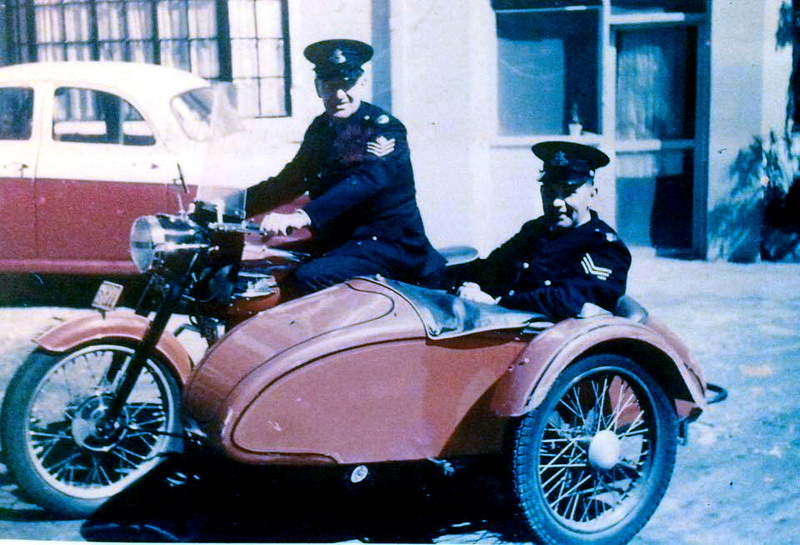 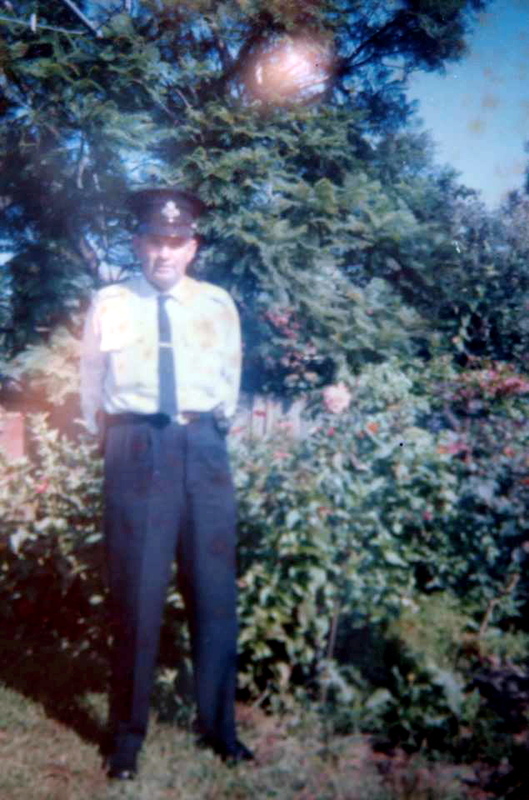 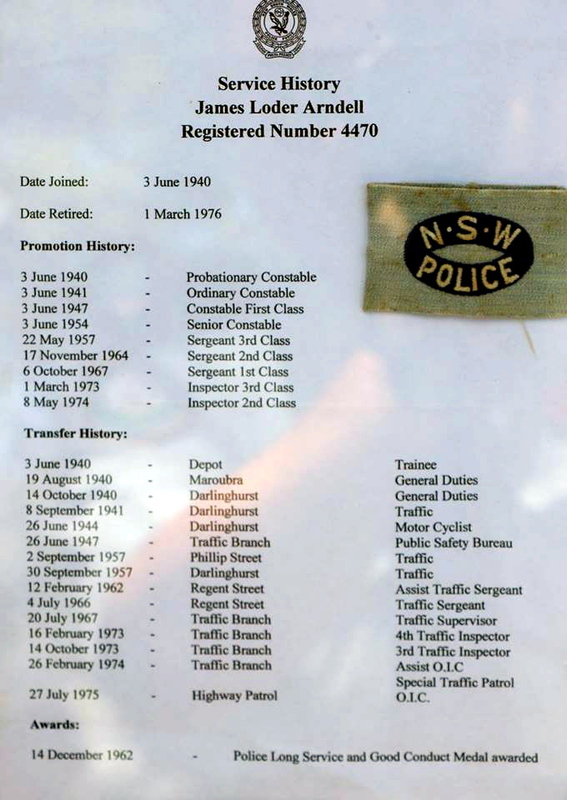 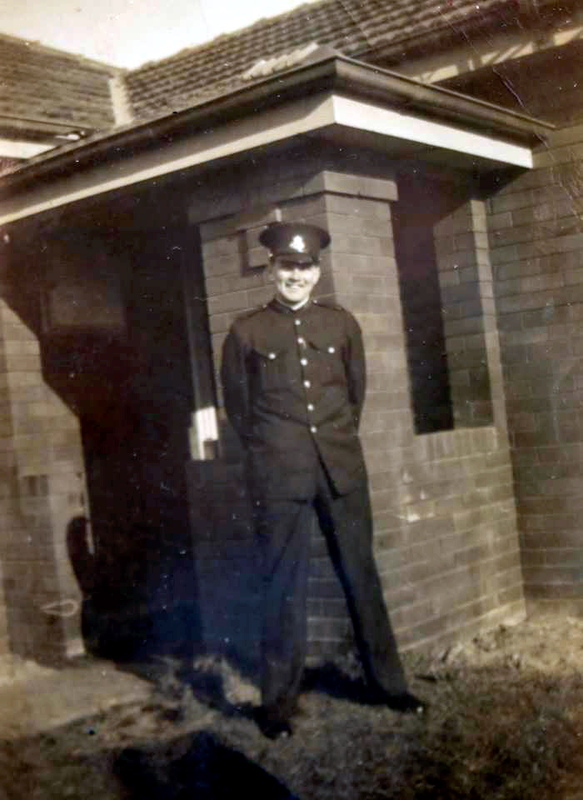 Bill, a resident of Christophorous House, was the Officer in Charge of the then ‘Traffic Bureau’ until his retirement in 1974. 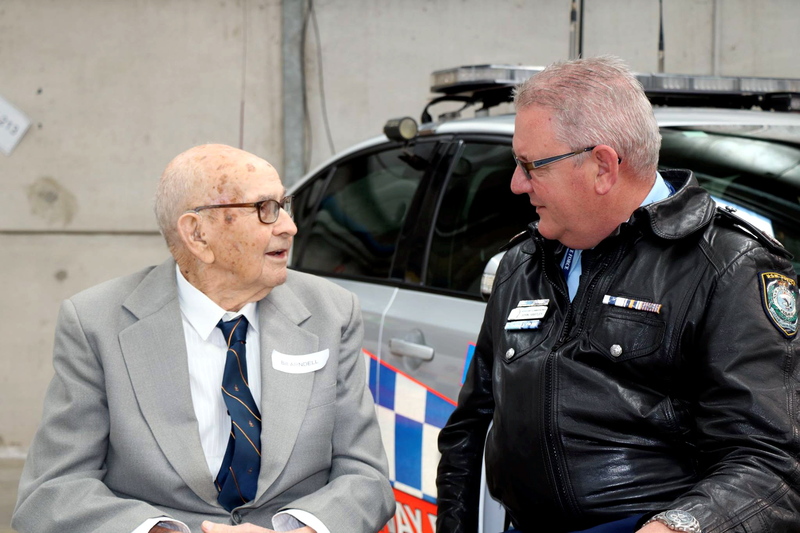 In 2015 we hosted Bill at our retired officers day, where he met with Commissioner Scipione, Assistant Commissioner Hartley, and chatted with many retired members. 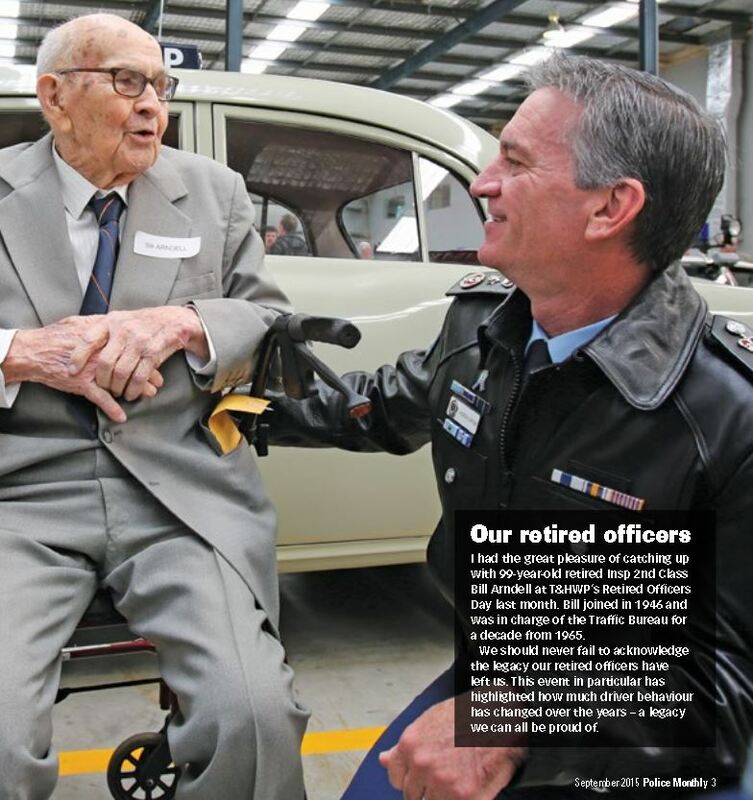 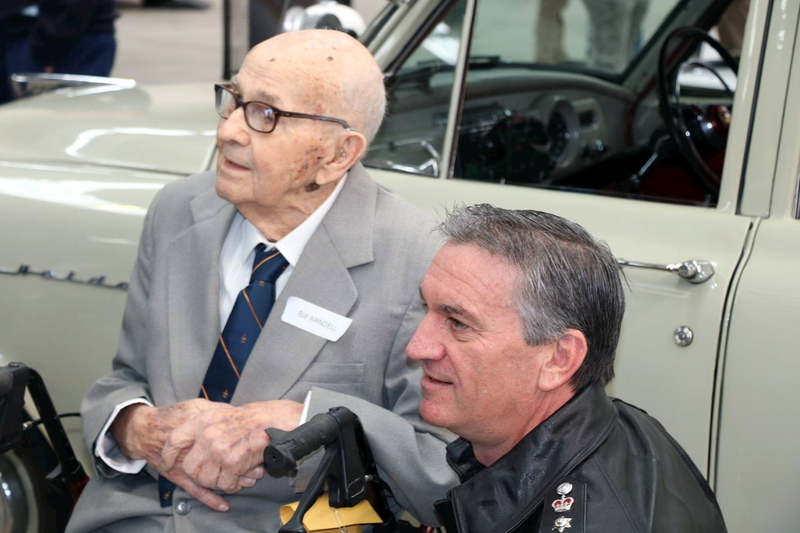 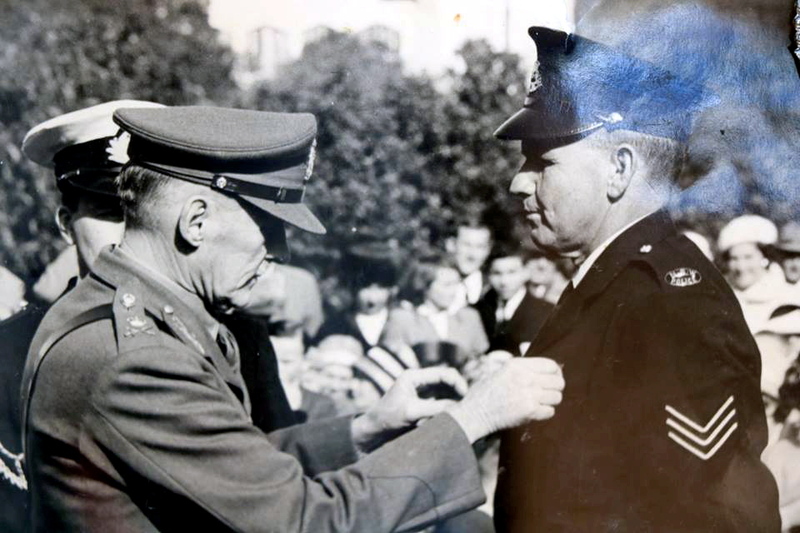 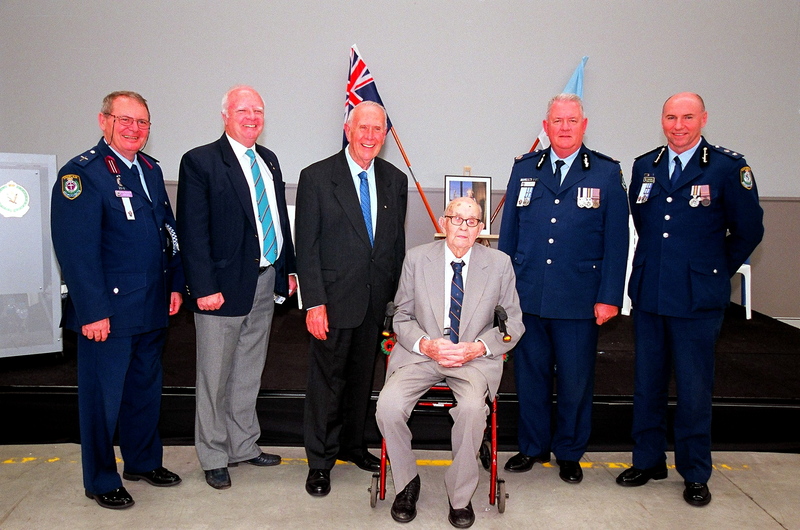 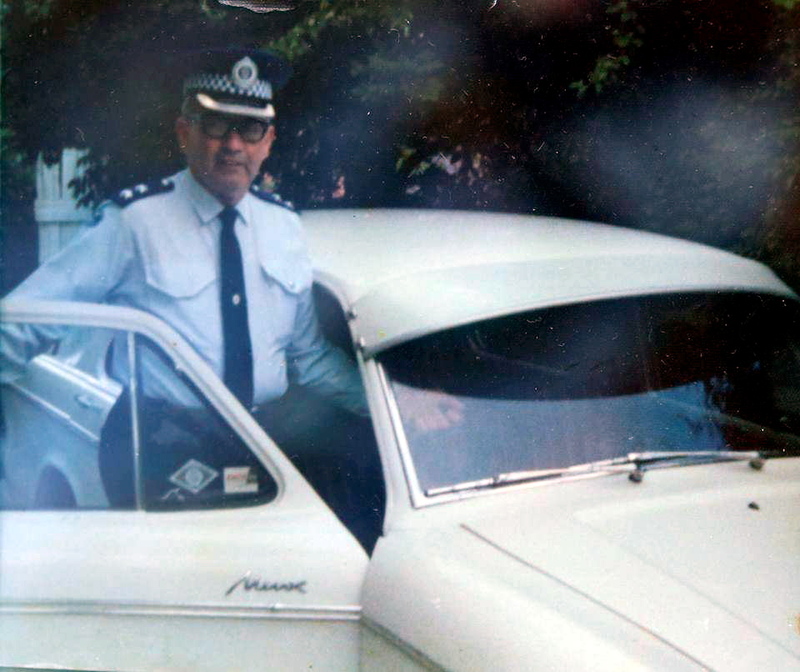 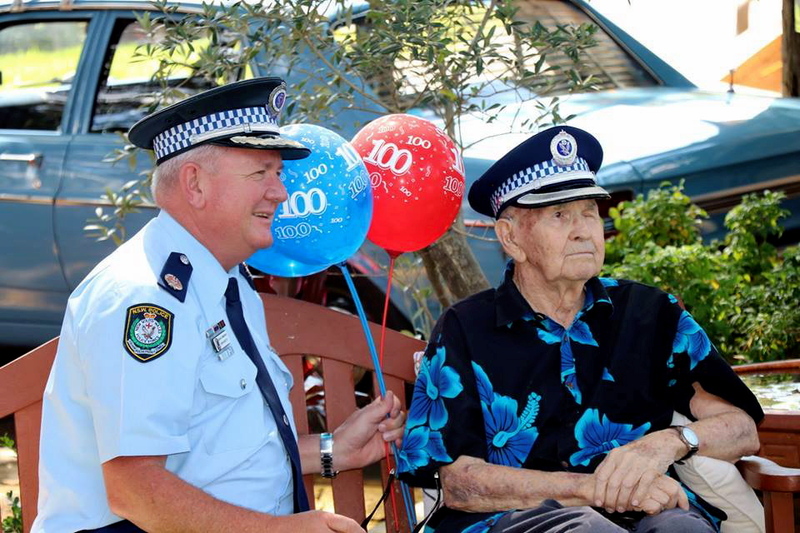 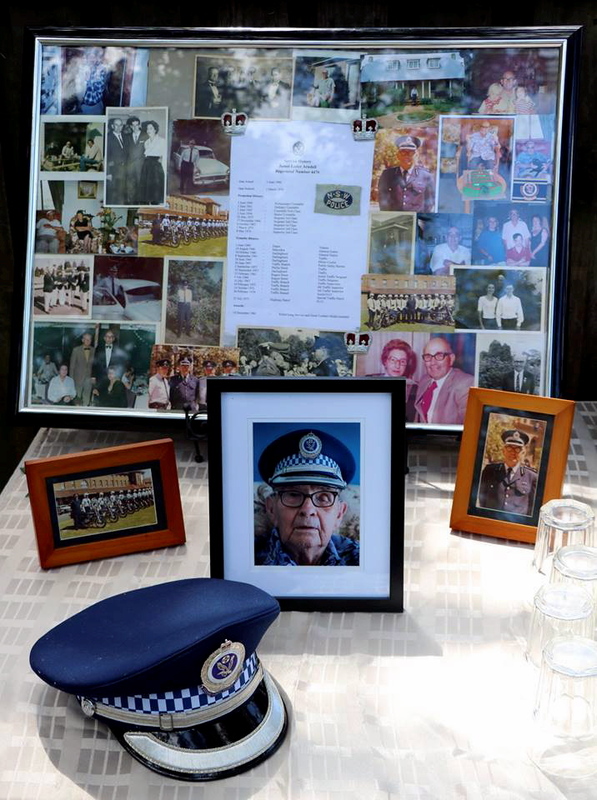 In March 2016 we celebrated Bill’s 100th Birthday with his family & residents, and later in the year we presented him with the ‘National Police Service Medal’ marking his years of service to the NSW Police Force, & the community of NSW. 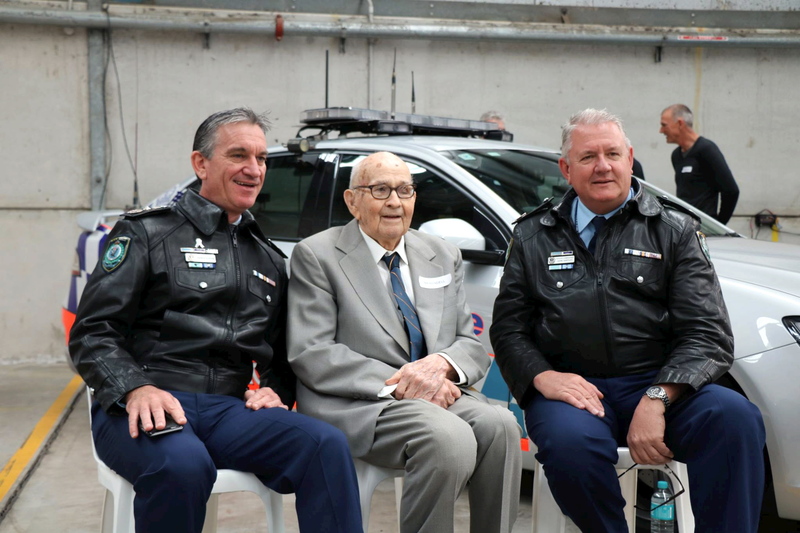 We briefly met with Bill at the Sydney Adventist Hospital before his passing. 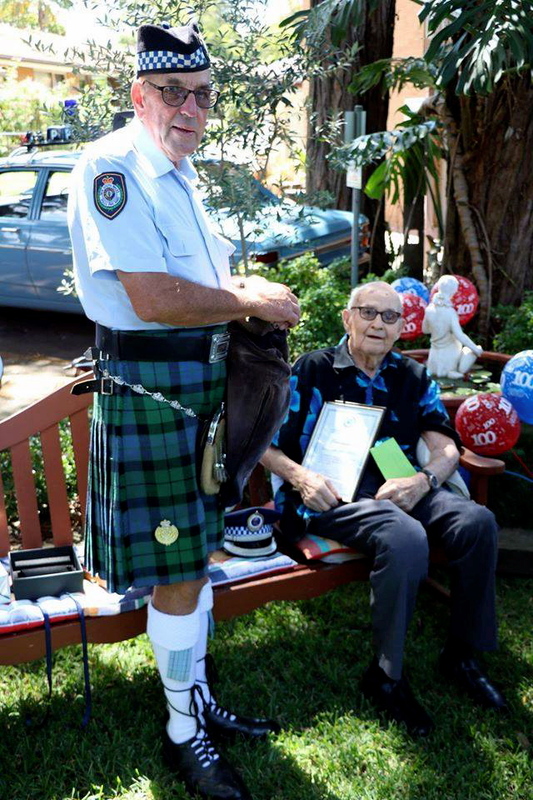 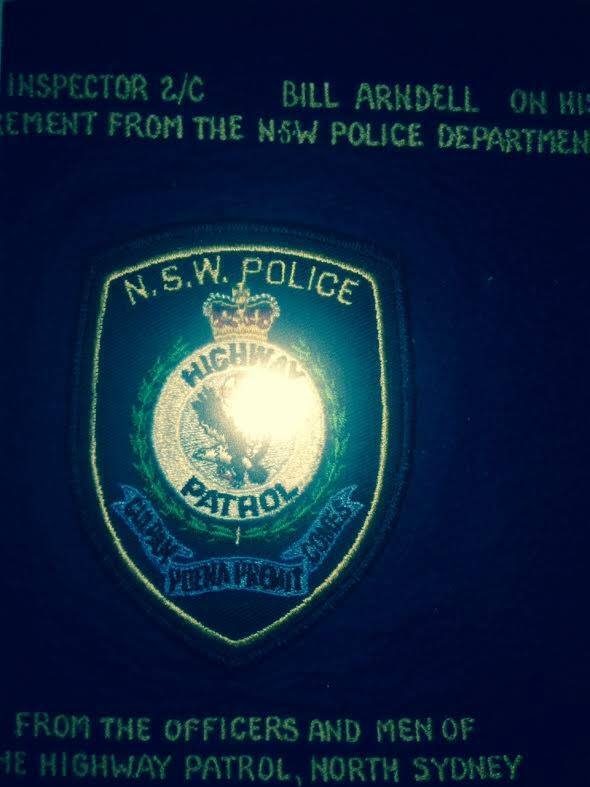 Officers from the Kuring gai LAC also visited bill in celebration of his birthdays. 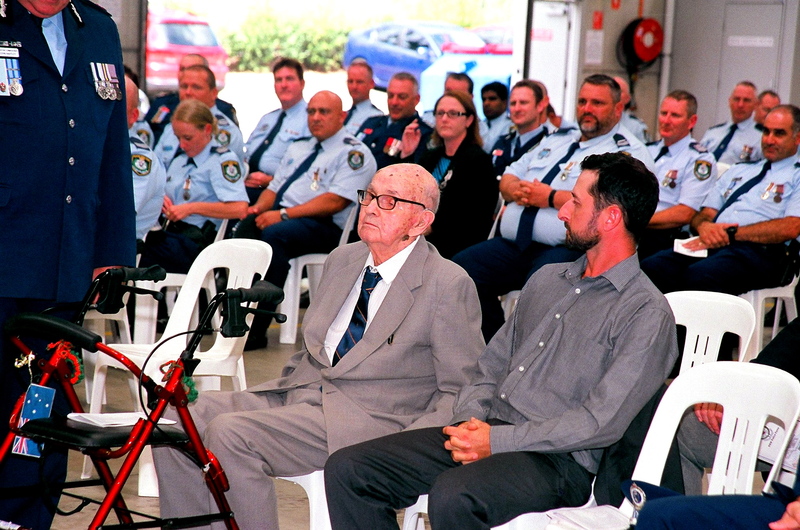 We take this opportunity to acknowledge his family at their time of loss, and the staff of Christophorous House where he spent his recent years, along with the staff of the Sydney Adventist Hospital. 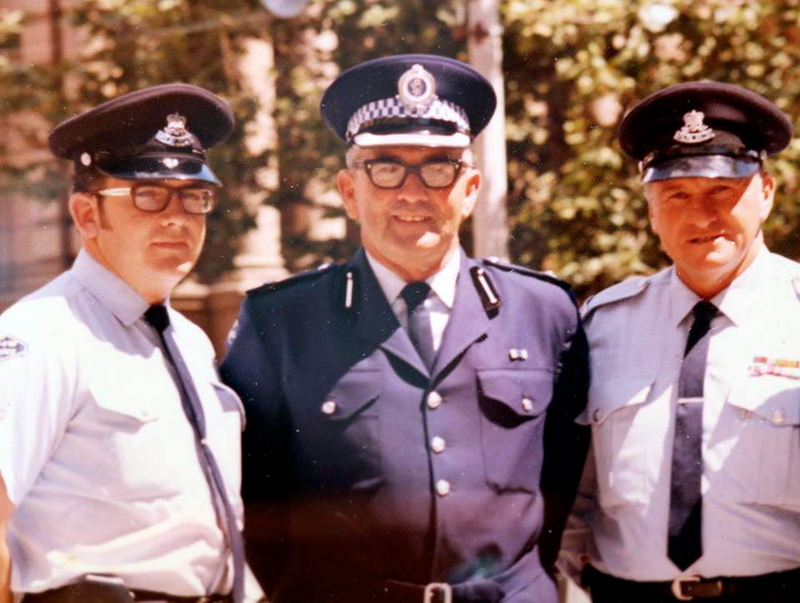 We are awaiting further advice as to Funeral arrangements. 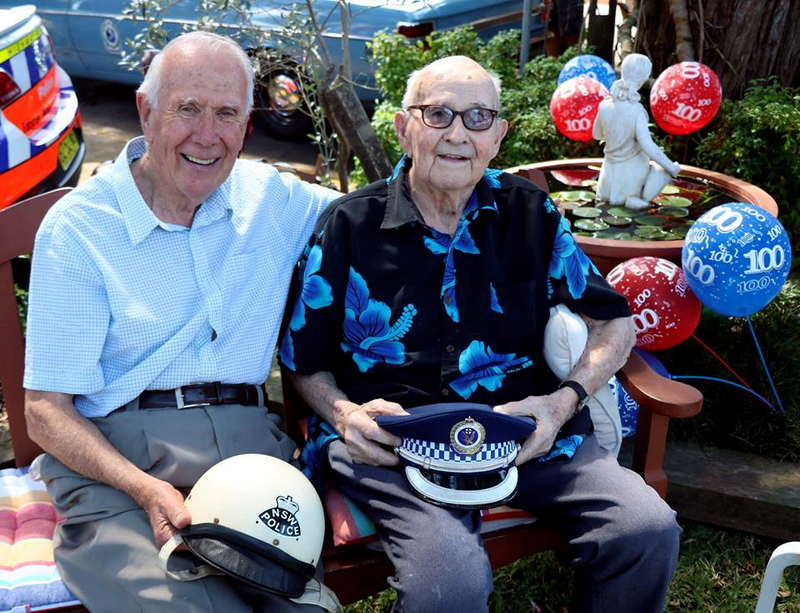 Former Traffic Superintendent Bill Flemming with Bill Arndell on Bill’s 100th birthday.